& Then Onto The Full Prince Purchase! Contrast the one hour we spent inspecting an old 3 room WC building, to the the several days of opulent surroundings whilst surveying the Jacobean pile built by the magnificently named Marquess of Rockingham. 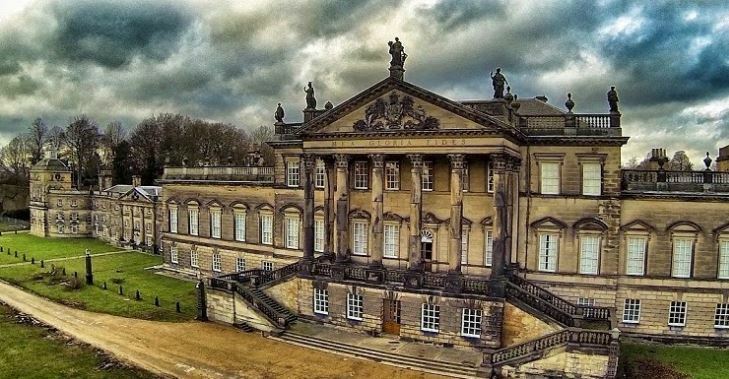 Many magical hours onsite at Wentworth Woodhouse in Rotherham, South Yorkshire trying to navigate around the 300 rooms – somewhat more than the diminutive loo viewings by Carnoustie golf course! What do these two remarkably different buildings (pictured above) have in common? 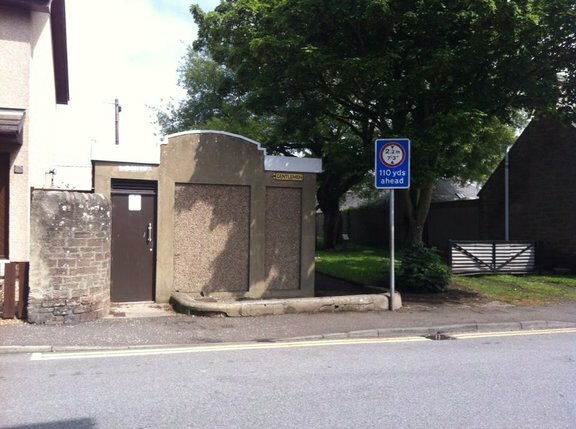 One is a former public convenience – colloquially known as a privy. The other is one of the largest country mansions in Europe, having 606 feet of façade. Wentworth Woodhouse was home to a Privy Counsellor. Indeed the PC’s son was a British Prime Minister. Both buildings have been, or are unique property club candidates. Quite the spectrum of unusual buildings. At the core of what we seek do do here with the Bulletin is this: to help you find, fund and have fun with unique property. Simple to say: more complicated to achieve. The above quoted excerpt from the front cover of our Unique Property Manual (here) says all you need to know about the essence of this website in just one sentence. However, every now and then we go from just featuring unusual property, to actually engaging with a real life purchase by our property-club members. Illustrating the mechanics of how to fund these adventures in the process. The logic being that if we can fund unique property purchases, this may assist you to follow your dreams too by helping you grow your funds in a similar and imaginative way. On 9th March 2017 our 19th property-club came good, and our 4 members are now the delighted co-owners of an old privy of all things! Spending A Penny, Making A Pound? Flushed With Success or Money Down The Toilet? This may seem an obscure building to buy. Indeed it is. 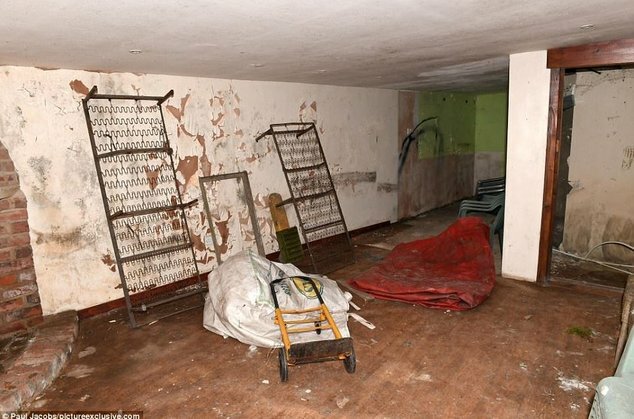 Also the worst property we could think of. 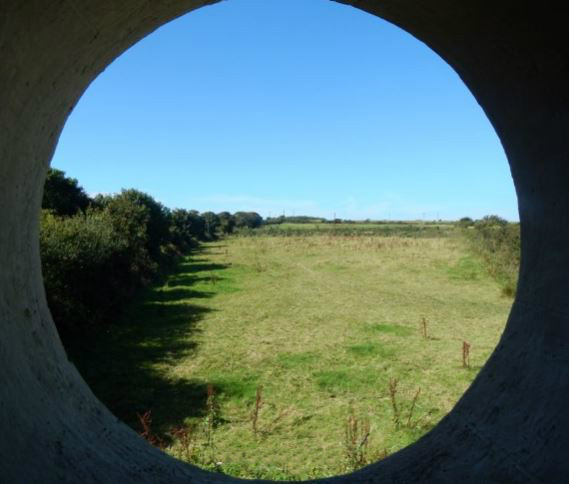 The idea is if we can rise to the challenge in upcycling an old privy into new life, then we can tackle most things – derelict castles, old lifeboat stations, humongous water towers – many unusual styles of home. Our unique property clubs buy buildings with the idea we wouldn’t mind end up being “stuck” with the candidate acquisition. However, more often than not, we resell within a few months and all enjoy the journey. Also more often than not we all partake in a respectable profit. Though for the sake of good form and FCA rules, we cannot guarantee this will always happen. For sure, we are well motivated to resell the old WC building as none of us are wanting to end up stuck with that one. 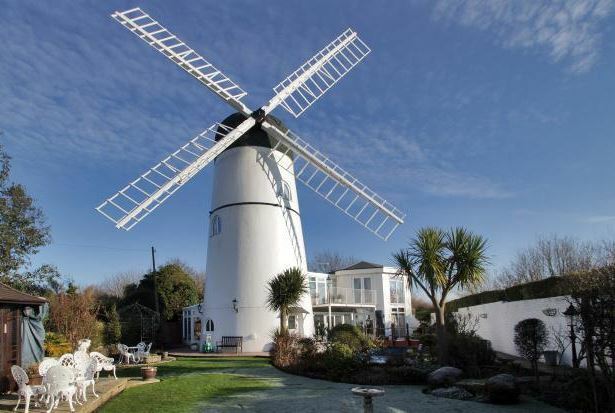 A castle, windmill or a watermill? Absolutely. But an old bog abode. Not a fan. What’s Next On The Unique Property Club Menu? 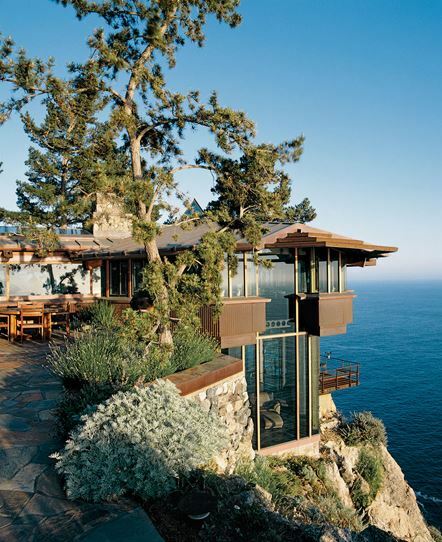 Seriously, this vertiginous cliff house is a distinct possibility – next edition of the Bulletin will feature a cliff, now owned by a unique property club! Back to the bog building and how that pans out. 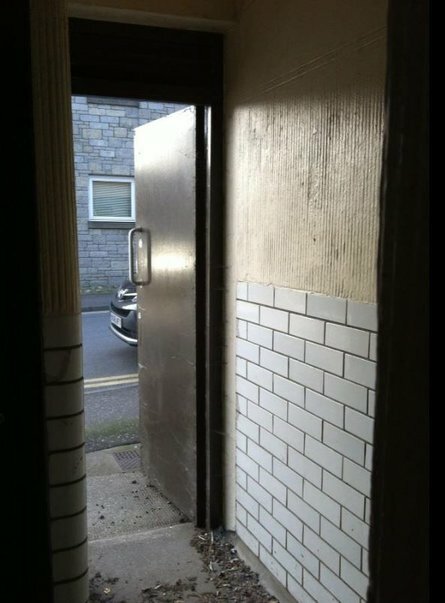 What we hadn’t expected is within hours of owning the old WC, the founder of unique property clubs was propositioned at the door of the gents toilet! It could have gone either way. Fortunately it turned out to be a prospective buyer. Within hours of ownership, our participating WC property-club members had an offer which would see each with a 10% net profit each. £7,000 in and £7,700 out. Outside! Our members of this syndicate are not quite decided which way to go on that – yet. 20% net would be nice. A cheque from the solicitor for £8,400 each would be a stonking good start to the rebooted property-clubs. 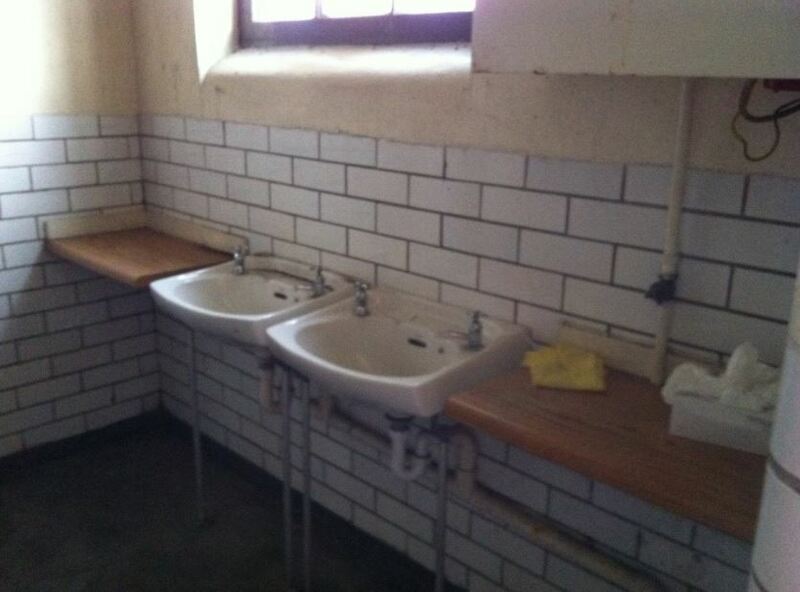 More news, direct from the lavvy club later. Also details of how our reinvigorated property-clubs have gone from a privy to a prince within 28 days appear below. So now the unique property clubs are firmly back on the menu, we are looking for more candidate buildings to consider…. If You Had The Money, What Is Your Ideal Unique Home? Make It Happen By Your Own Initiative. You are welcome to study our projects and use the information to progress your own property adventure, or indeed become a member and join in with one of our forthcoming outings..
Click Here For Unique Property Syndicate News Updates. 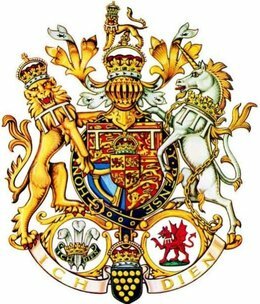 From Privy – to Privy Counsellor – to Prince. The Unique Property Syndicate Way! Literally a privy to a prince by our property club members, all within a jam packed week. A unique piece of Cornish history. A former water pumping station, with conditional planning permission for residential use. For full details of the planning permission and associated documents, go online to the Cornwall Council website Planning Section and search on reference PA16/05651. This former pump house building is now empty of the original machinery. Understood to have been integral to the district’s mains water supply, before Drift Dam was built and brought into service. It is reputed that it provided up to 30,000 gallons of water per day. 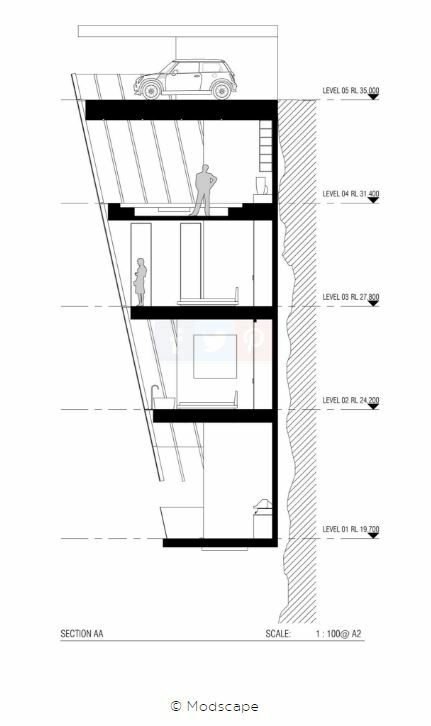 Ground floor estimated to be 20′ 0″ x 14′ 0″ (6.1m x 4.27m). First floor circa 20′ 0″ x 14′ 0″ (6.1m x 4.27m) with “Port Hole” style windows at gable ends…. Contact: 01736 361282 or 01837 55681. 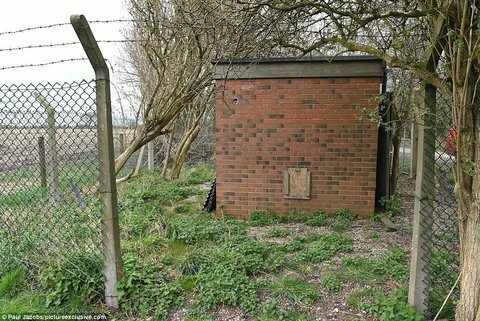 Please can folk let the owner/auctioneer know you found this old pump house for sale in the Unique Property Bulletin. This helps us to help you. Thanks. 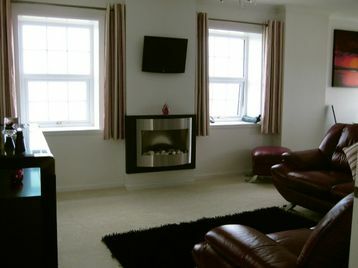 The Modernised Lighthouse Home Has Double Glazing & Oil Fired Central Heating. Splendidly remote, yet with a very civilised regional airport just 6 fields away. 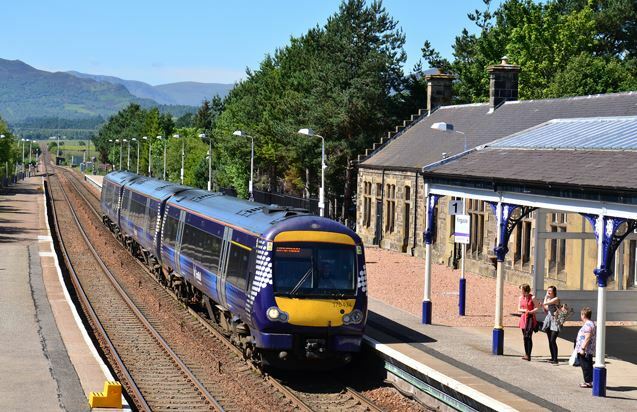 So a commute to London, Manchester, Cardiff, Belfast or Edinburgh is eminently possible and convenient. Have the best of both worlds. 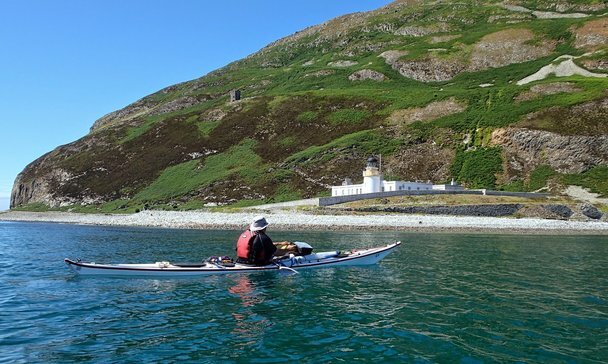 A spectacularly located former lighthouse keeper’s sanctuary far from the madding crowds, yet with excellent connectivity via the local airport which can get you into the heart of the action in a short period of time. Curious? Just click here for more details. 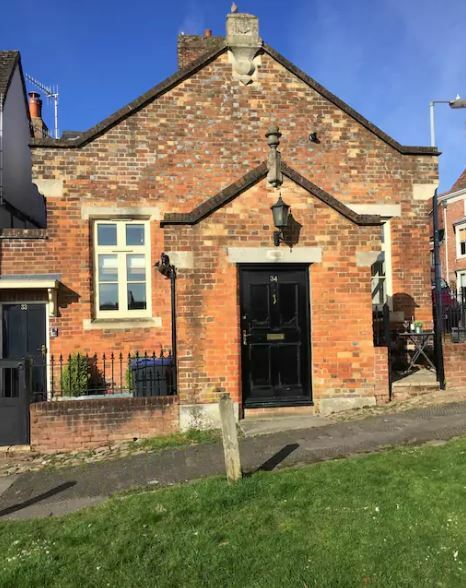 This large detached church was originally placed for sale in July 2016. Apparently it did not sell then as it was marked up as “withdrawn” from the market. More recently on 1st March 2017 it was added to Rightmove with a guide price of £200,000 (here). However is has now been placed back up for sale via the auction route and has a new guide at £125,000. Make of all this as you will! 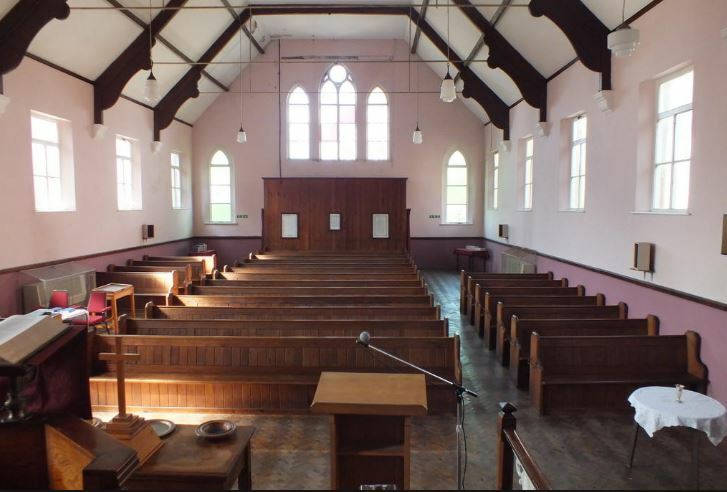 Auctioneer’s Narrative: Former URC Church. 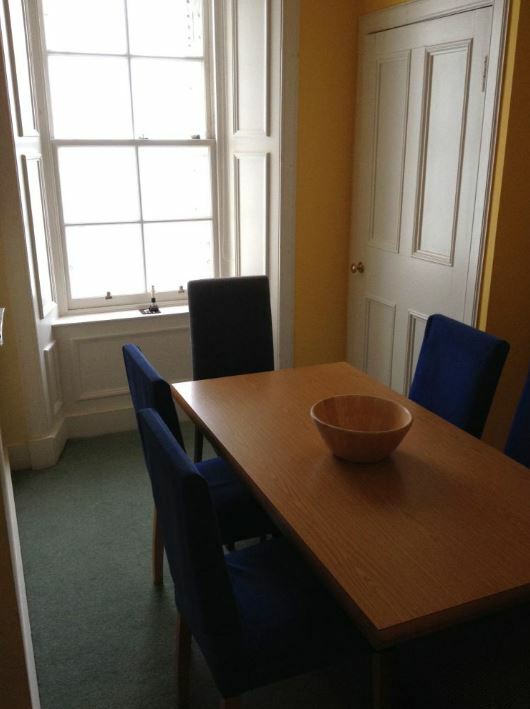 Detached Victorian property Conveniently located for M5 access. Suitable for community use. 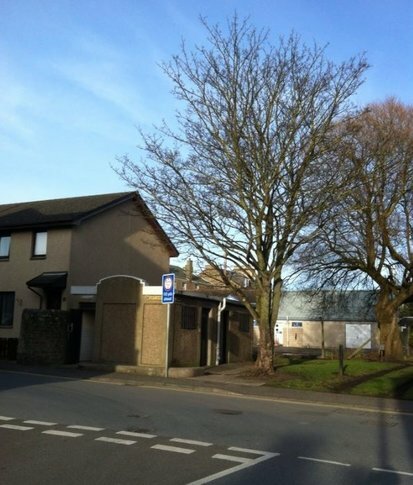 Could convert to residential subject to consent In residential street opposite allotments. 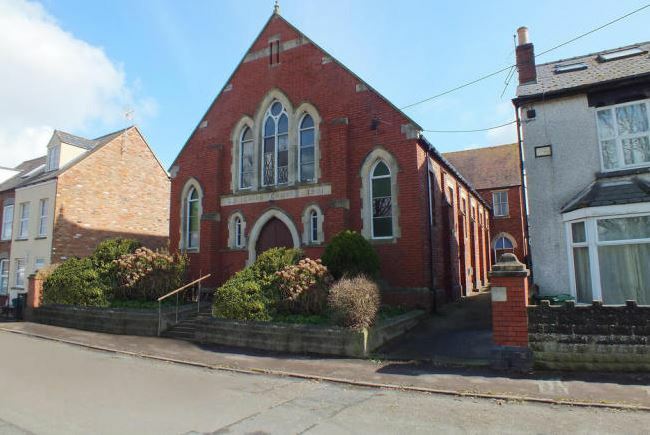 The church is located in the small town of Sharpness which is close to the River Severn, but very conveniently positioned for access to the A38 and the M5 motorway leading to Bristol to the south and Gloucester/Cheltenham to the north. Sharpness itself has basic amenities for everyday use, including convenience store, primary school, parish church and public house. 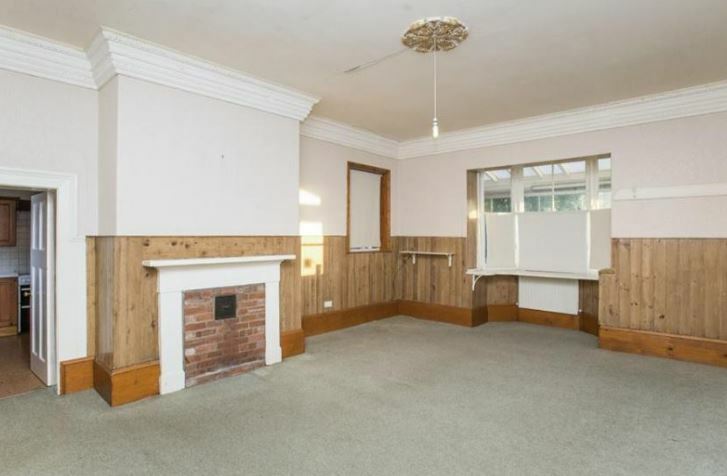 This property is located within a residential street immediately fronting a larger allotment garden area, giving it a very open aspect. The URC church was originally constructed in 1901 with some later additions. 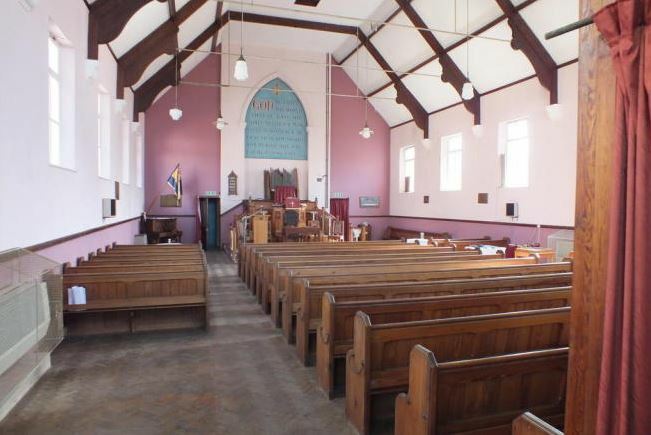 It has brick elevations under a pitched tiled roof and consists of a large main church which is over 2000 sq.ft., as well as a good sized meeting room. Accommodation: Doors to hallway leading to Chapel 64.6 ft. x 34.6 ft. = 2225 sq.ft. (207 sq.m) with raised Dias and fitted pews with pulpit area. Rear hall with outside entrance to side and rear. 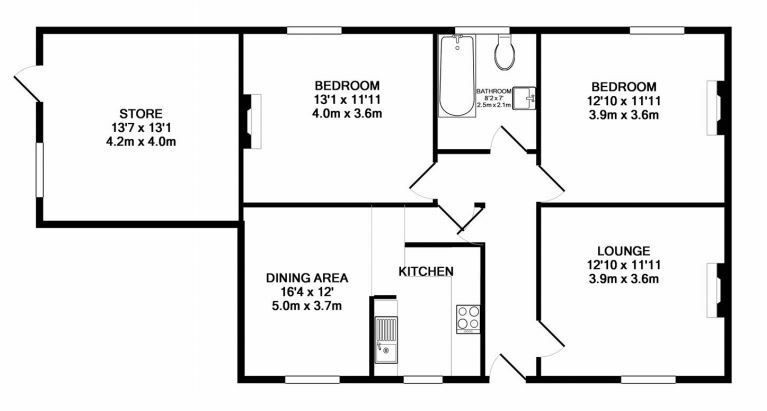 Kitchen 13.6 ft. x 8.3 ft. = 111 sq.ft. 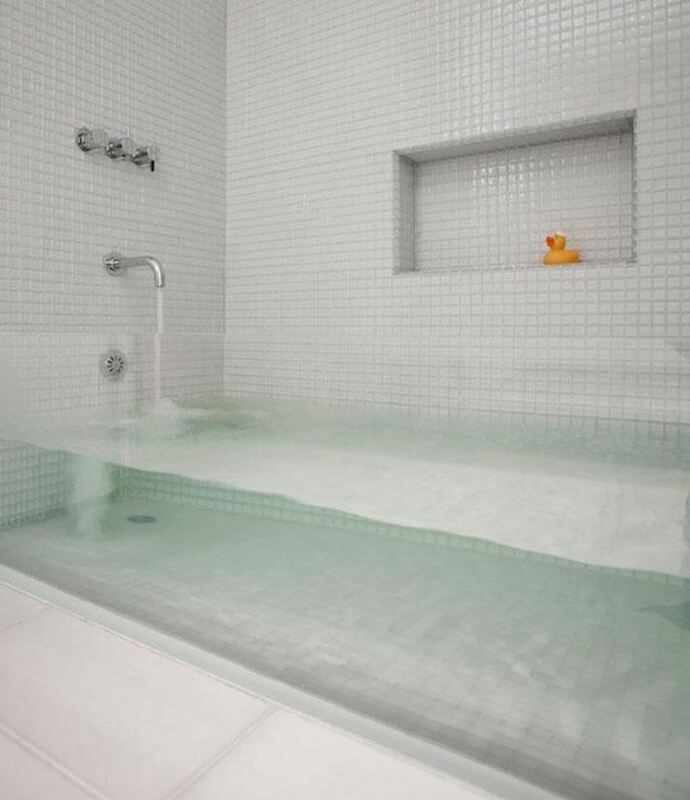 (10.5 sq.m) with single sink and worktop. Outside: Parking area to side for 3 vehicles in tandem, rear garden and amenity area. Location: Former Church, Oldminster Road, Sharpness, Berkeley, Gloucestershire, GL13 9NB. Current Guide: £125,000 at Barnard Marcus Auctions on 10th April 2017. If you read this after that date, it’s always a good idea to check if the building actually sold. Especially as this apparently did not sell in the 2016 auction! Contact Barnard Marcus Auctioneers – Tel: 020 8741 9990. 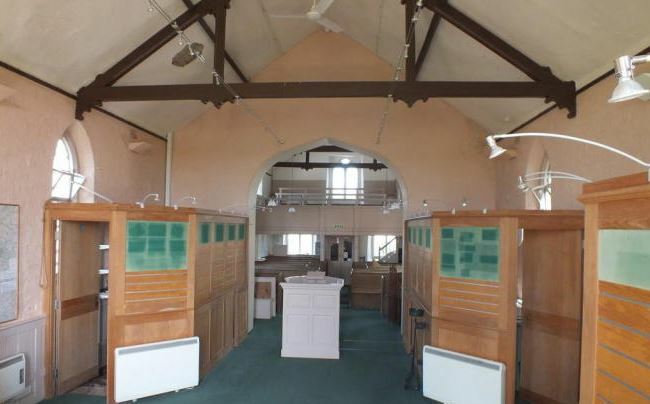 Please can folk let the auctioneer know you found this old church for sale for sale in the Unique Property Bulletin. That helps us, help them to help you. A virtuous circle. This particular group of lighthouse keepers’ houses are very fresh to market. The sale only became live a couple of weeks ago and the formal estate agency brochure is still to percolate through the internet search engines. The good news is that Unique Property Bulletin’s sister website…. …has a direct line to the owner. So we can arrange for visits and a clear channel of communication should you have any questions prior to going up for a visit. 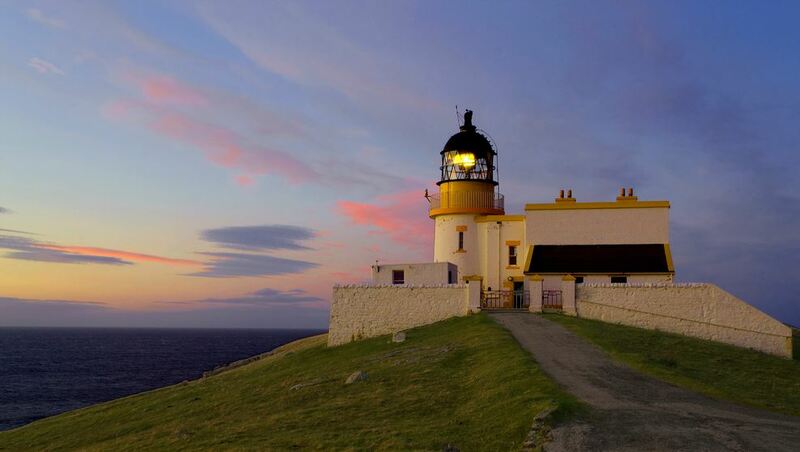 If the photographs of Stoer Head lighthouses capture your imagination (they are in a good state of repair) then we would recommend you pop across for a week’s holiday. 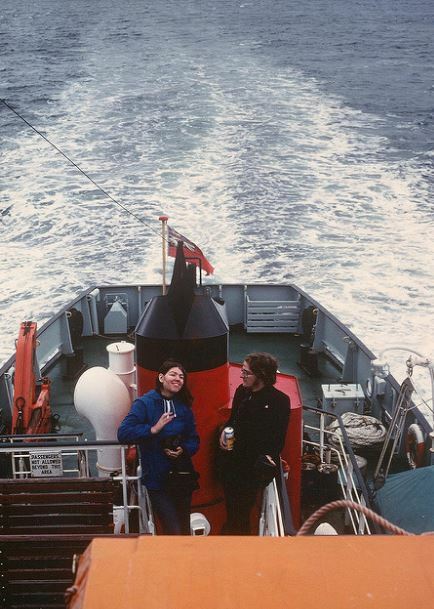 Indeed we would strongly suggest that anyone who is considering the purchase of a lighthouse building spend a week or so living there on a holiday outing to see if the style of lighthouse life suits you and vice versa. 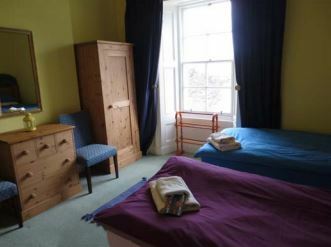 A week’s holiday for 2 works out at £600 for the two bed holiday flat at Stoer Head. That equates to £43 per night per person. (Sunday through to Saturday). 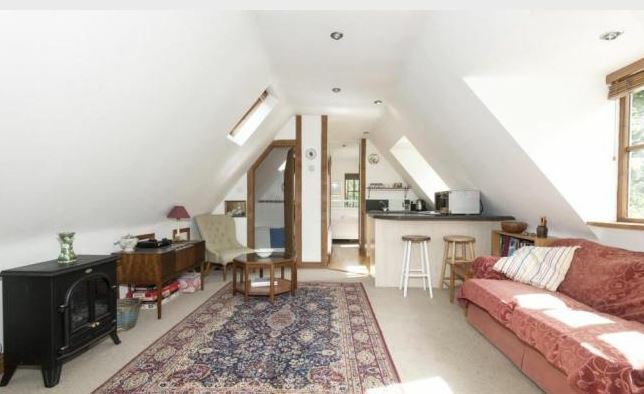 To buy one of these 2 bed flats is: £170,000 for the first floor, and £175,000 for the ground floor. 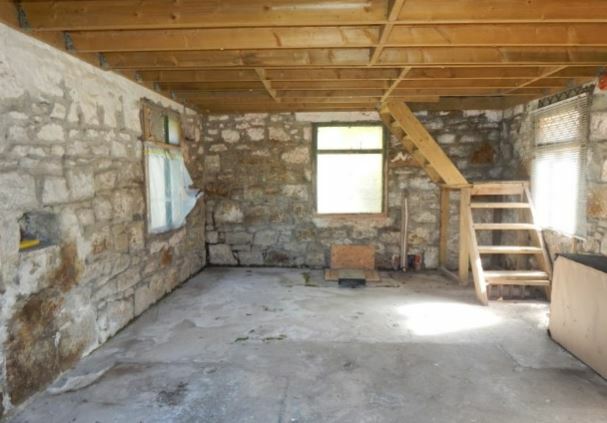 The old Bothy is a snip to buy at just £22,500. 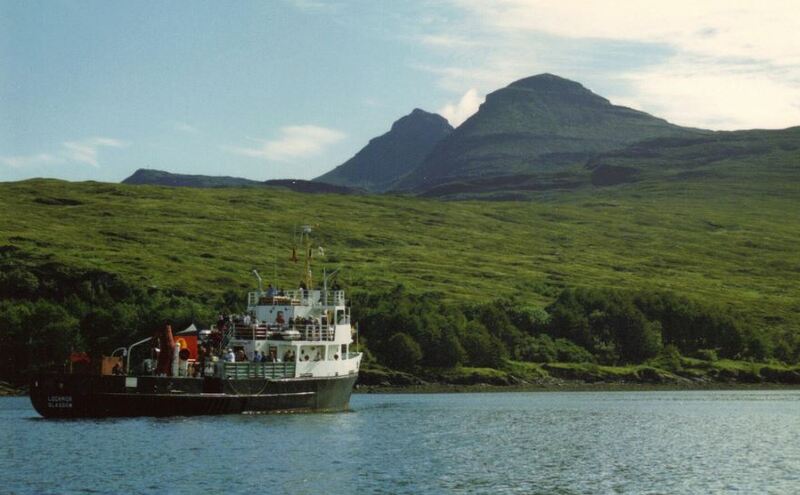 Further information on Stoer Head Lighthouse: Click Here. In more general terms, we have several other lighthouse compounds and also much more affordable single buildings coming up for sale in the next few weeks, so please keep an eye on future editions of Unique Property Bulletin. Whether you fancy owning a lighthouse keepers house, or a converted engine room, even an old foghorn building, or that ultimate and rare beast of a building, the beaming lighthouse tower, we will be featuring examples of most of these in the next few editions of Unique Property Bulletin. So please consider subscribing for email alerts just so you don’t miss out: click here. They make excellent affordable, entry level candidates for conversion. 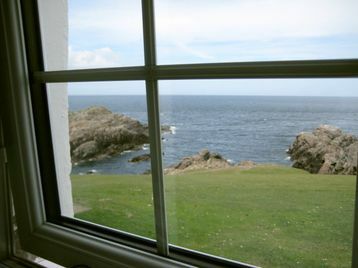 This one at Strathy Point was refurbished and recently the completed home was put up for sale at £90,000. 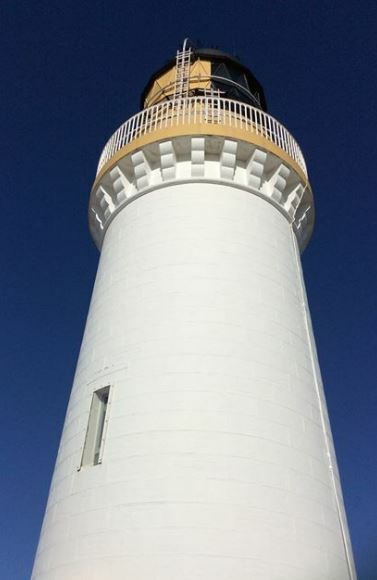 Some lighthouse buildings that will be placed exclusively with Unique Property Bulletin for sale are to include a detached, former Lighthouse Engine Building at £35,000+. 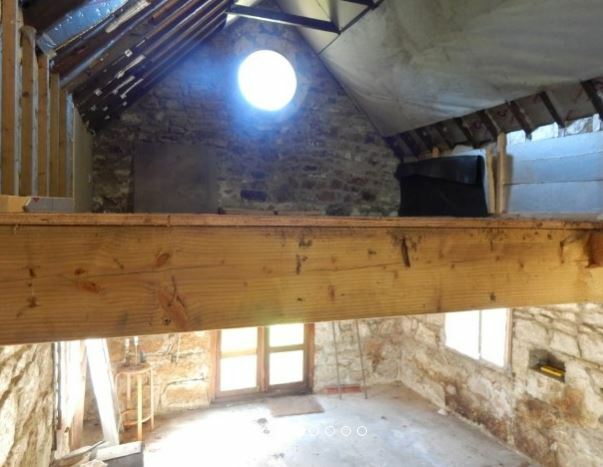 This would be ideal for a builder or folk who like a good and interesting renovation challenge. These can make wonderful homes once completed. 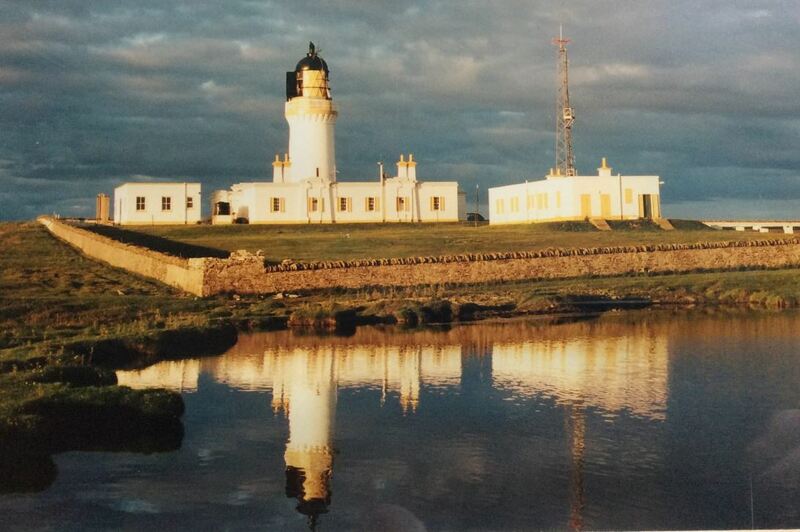 We sold one such converted engine room a few miles up the road at Strathy Point Lighthouses last year (click here). There will be fresh, ready to occupy (with a bit of decoration and cleaning) lighthouse keepers’ homes for sale starting from £89,000 for 2 beds dwellings. IF YOU WOULD LIKE TO BUY A LIGHTHOUSE HOME, WE WILL HAVE SEVERAL COMING UP FOR SALE SOON. 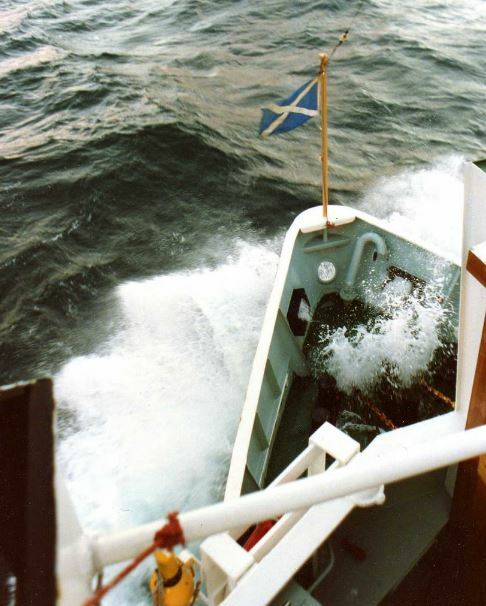 PLEASE TEXT US YOUR EMAIL ADDRESS TO RECEIVE UPDATES: 0793 557 2803 OR CLICK HERE AND PUT YOUR NAME AND EMAIL INTO THE “LIGHTHOUSES FOR SALE” ALERT/UPDATE SECTION. 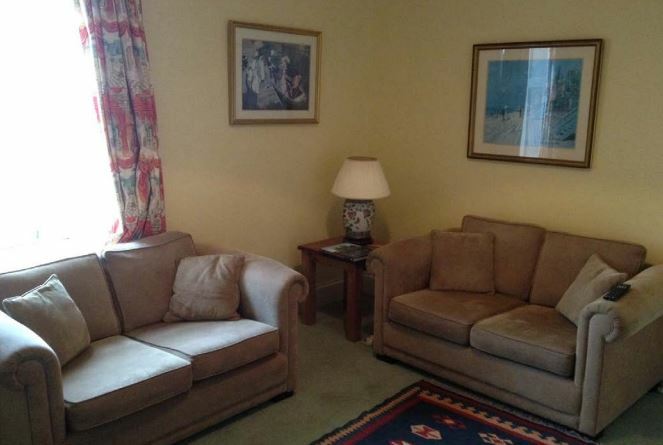 If you would like to be introduced to the owner or arrange a viewing, please get in touch via our contact form: click here. 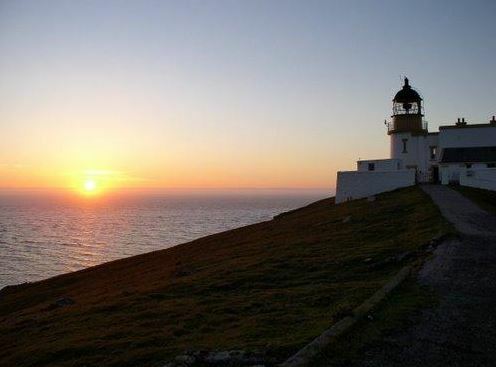 Location: Stoer Head Lighthouses, Raffin, Lochinver, Lairg, Sutherland, IV27 4JH. Please can members keep an eye out for tasty morsels? With our rebooted Unique Property Clubs now under way, we are asking all syndicate members, and indeed general Bulletin readership to keep their eyes out for possible candidate buildings that our newly reformed and now fully active property-club might consider buying. Small Castle Or Big Lodge? 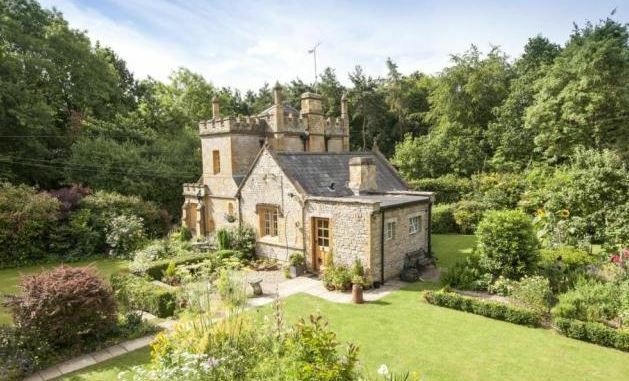 This is an attractive Grade II Listed former gate house to the Weston Park Estate. Dating to 1834, the property was designed by Edward Blore who is most notable for his completion of John Nash’s design of Buckingham Palace. The property features squared and shaped coursed limestone, polygonal corner turrets, embattled parapet, a pyramidal slate roof with carved finial and stone mullion windows. Approached over a gated gravel driveway, access to the property is gained over a paved pathway. A glazed oak door leads to the rear lobby from which can be accessed a bathroom fitted with white sanitary ware and a tiled floor. 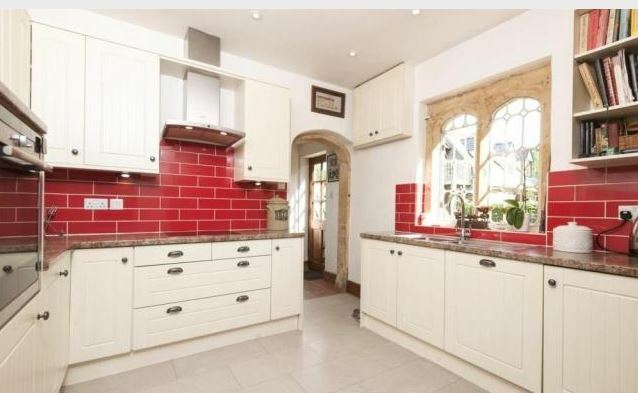 A stone archway gives way to the kitchen which is fitted with a range of wall and base units as well as appliances including; Neff halogen hob, high level oven, extractor & Bosch dishwasher. Stone mullion windows overlook a cottage garden with box hedging and a gravelled seating area. The dining room is accessed from the kitchen with stone mullion window, decorative Victorian cast iron fireplace over a stone hearth. 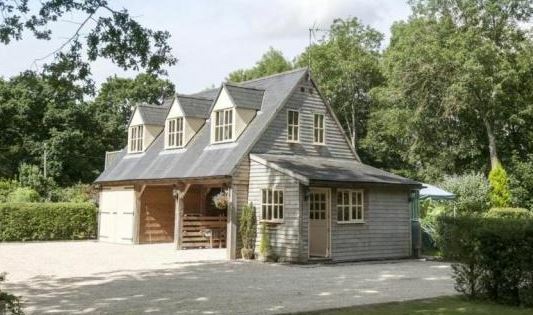 Situated adjacent the property is Molly’s Mews, a detached timber framed building incorporating a single garage, two open bay carports and a secure home office. 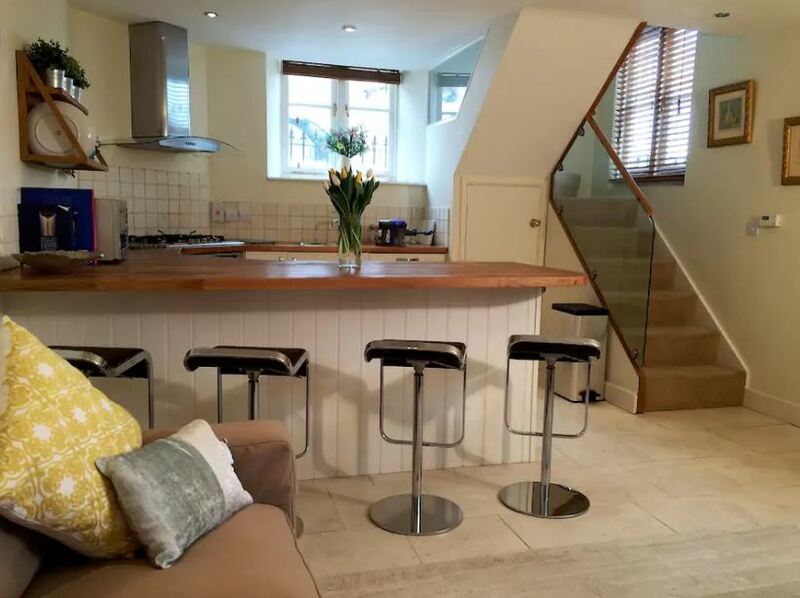 External stairs provide access to a self contained one bedroom annexe with living space, kitchenette, double bedroom and separate bathroom. If any of our UPS crew live near to this one, perhaps you could do the honours and to to inspect the two buildings and grounds please – let us know how you get on (click here). Similarly, you are a syndicate member and would consider joining a club to buy this property, please let us know (click here). If there is sufficient interest we will set the ball rolling. Could be an interesting one. Contact Iain Powis at Savills – Tel: 01295 228 000. 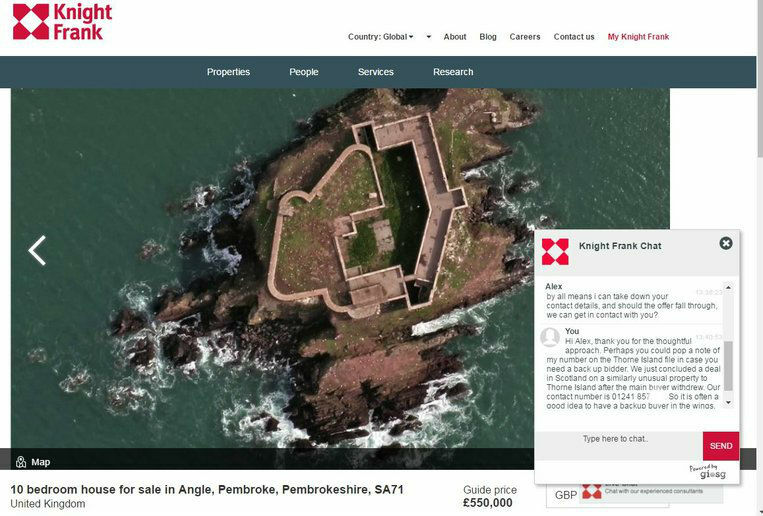 Please can folk let the owner/agent know you found this small castle – lodge for sale in the Unique Property Bulletin. Upper Poppleton Station House has a lot of rooms: three double bedrooms, three large reception rooms, storage room, out buildings and is set back from the road behind a deep grass verge and has a very private frontage behind mature trees. The front garden is lawned with a driveway to the side providing ample off street parking leading to a detached double garage. 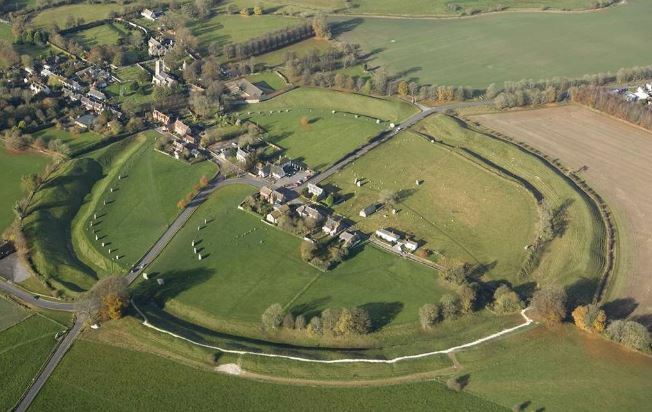 There is an extensive rear garden backing onto open fields. 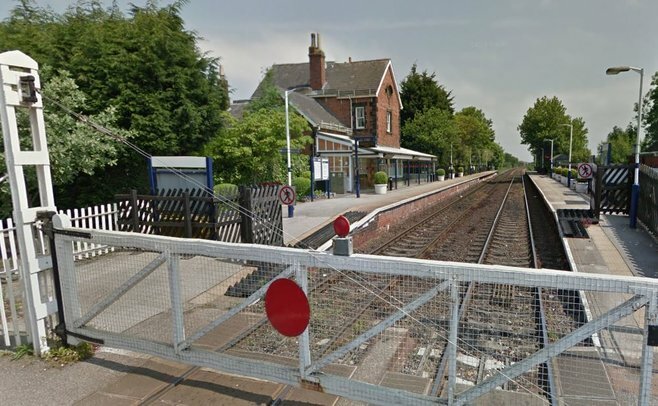 The property is actually adjoining the train station platform on the York-Harrogate-Leeds line. Excellent transport links. No driving licence required. Just nip outside and catch the train. 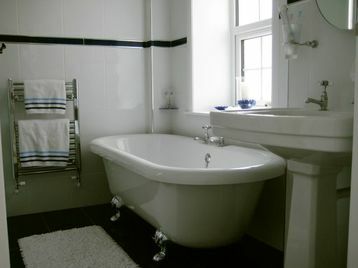 Contact Bridgefords Estate Agents – Tel: 01904 295 186. 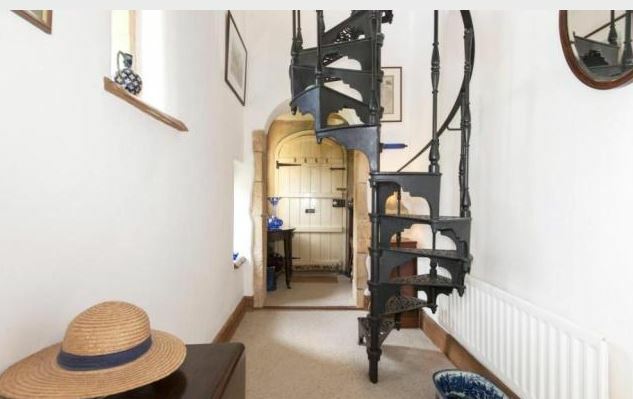 Please can folk let the owner/agent know you found this old railway station house for sale in the Unique Property Bulletin. A refreshing change in place of the ubiquitous avocado bathroom panels that, even 40 years after they used to be fashionable, still appear in houses that you view for sale. If you have an interesting design feature that has crossed your radar and you would like to share it with other readers, to get in touch please: click here. 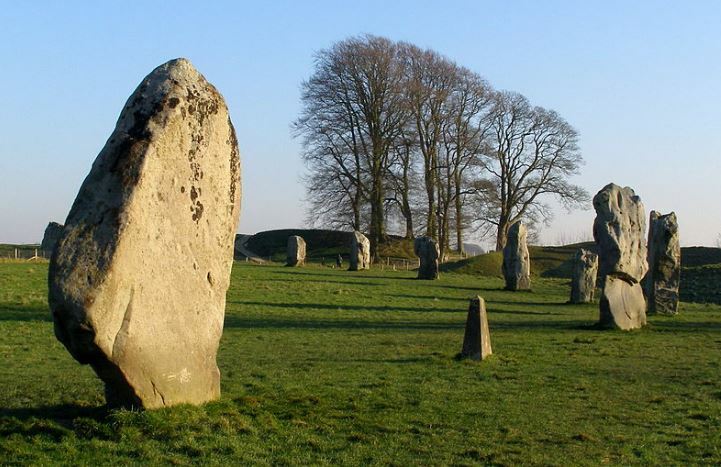 Located within Wiltshire’s mini Stone Henge. Actually not so mini, some of these blighters are huge lumps of rock! A pretty chapel located within the Avebury stone circle. 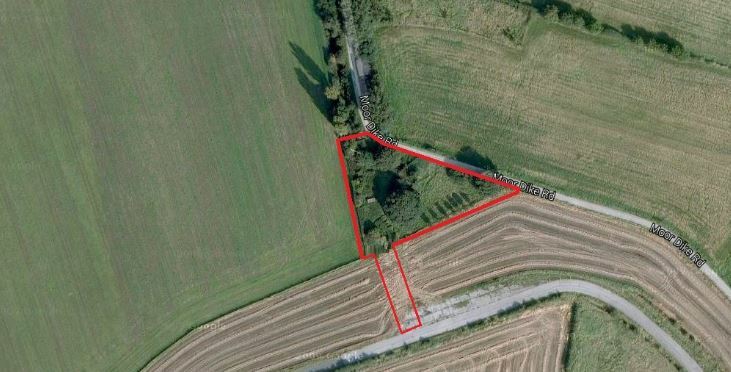 This is demonstrated by the OS plan within the sales particulars that shows the extent of the property edged in red strictly for identification purposes with the site of the ancient monument clearly shown. The property is suitable for continued community use or potentially it could form a visitor centre or café to serve the tourist industry or would convert to a very attractive single residential property, although these uses would of course require planning permission to be granted. From the Unique Property Bulletin perspective, we believe a hybrid planning application would yield the most viable long term use: turning part of this chapel into a home, and another part as a visitor centre and café. Thereby resolving several local issues at one stroke. Contact Perry Bishop Agencies – Tel: 01285 411034. 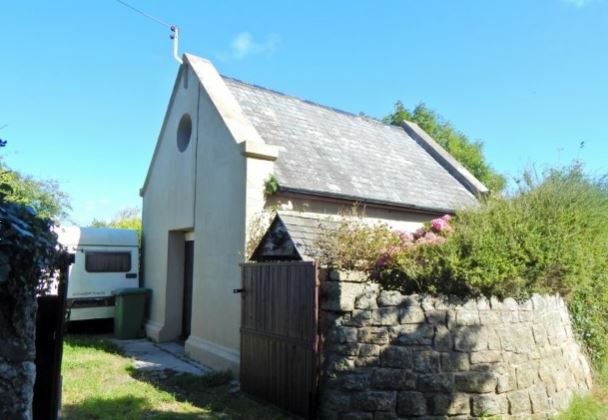 Please can folk let the owner/agent know you found this old chapel for sale in the Unique Property Bulletin. All right, it may take a bit of travelling to get here, but the train does stop outside your front door. 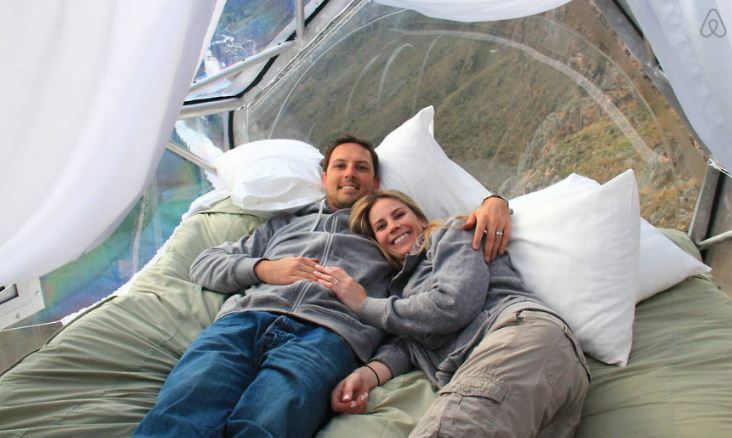 In fact several of our readers are specifically looking for remote places to live. 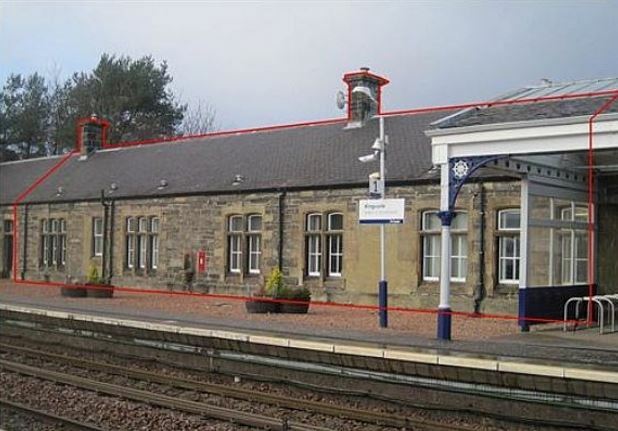 Not sure if it’s mother-in-law-itis or some other contagious disease, but enough folk are seeking to escape the hurly burly of high pressure, high volume, full on city buzz for us to believe it is worthwhile including this station building for you to consider. You would need to obtain planning permission to change the use, but with over 2,400 square feet to play with, there is room for a nice house, or even a smaller abode and some home-office work space. Possibly think about an internet cafe to work form. That way instead of tapping away at the keyboard in the study where there is a certain monastic existence, you can enjoy the company of visitors. Just throwing some ideas out. The important point is you have something interesting to consider. How this place might fit in with your own situation, plans and desires is unique to yourself. 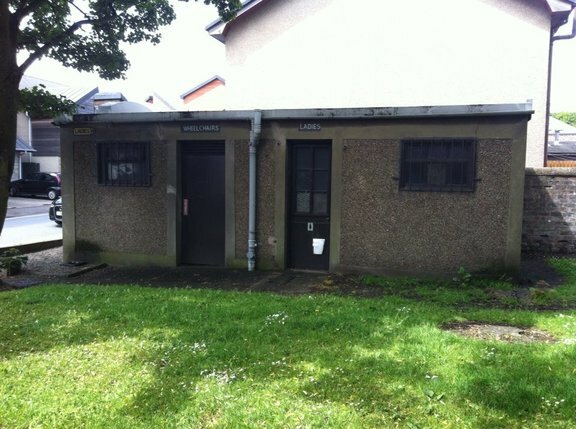 Contact – Station Buildings Tel: 01463 231173. Please can folk let the owner/agent know you found this former railway station master’s home for sale in the Unique Property Bulletin. Thanks. 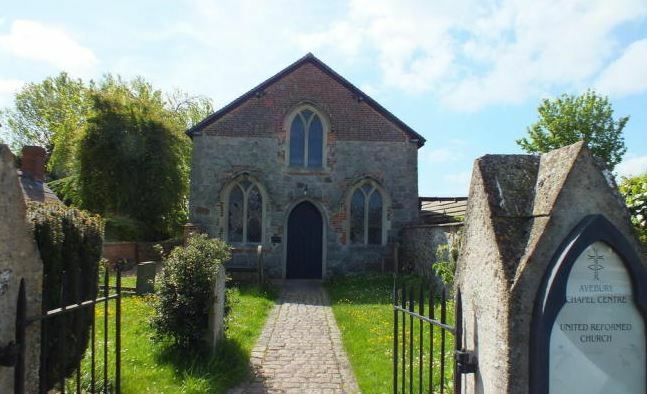 We recommend this destination especially if you are considering the purchase of the other chapel (unconverted) nearby, and which we have listed earlier in this Bulletin. The guide is £99 per night. Please study the AirBNB terms and conditions. None of us at Bulletin HQ have tried an AirBNB property yet. This one has a top feedback rating so looks a good place to visit. 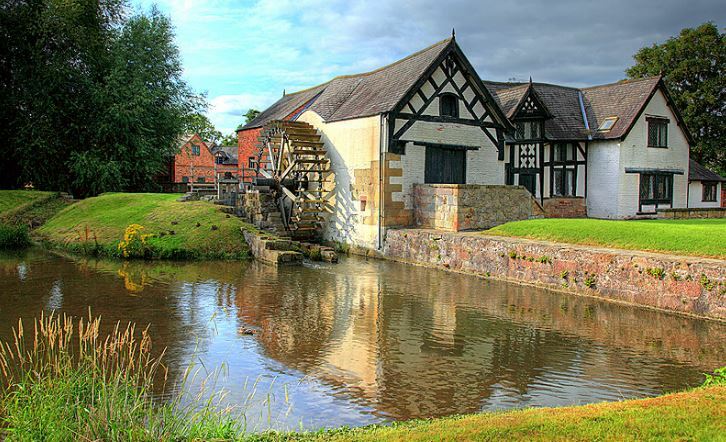 Please let us know how you get on as this village looks picturesque in so many ways. For starters you could read the National Trust information: here. If the AirBNB chapel is fully booked, here is another one you might like to consider staying at for a visit: click here. The first three correct answer drawn from our competition box after midnight on 30th April 2017 will win. The Modscape design ideas come from a team effort: click here. 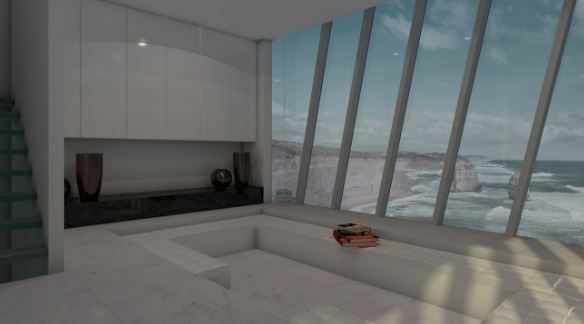 The Fact Our Unique Property Club Will Soon Own A Cliff Presents An Interesting Situation! Pretty place for a pee. For all the puns, this diminutive building has been powerfully good for us. It has provided “proof of concept” for the rebooted unique property clubs. Plus it looks like making a 10% to 20% net profit for each of the participating members. As our introduction at the top of this page described – these two polar extremes in building vernacular and size, have a commonality in that they both have been candidates for our unique property syndicates. This illustrates the fabulous and diverse range of unusual projects we have tackled and move forwards to consider more interesting adventures with the Unique Property Clubs. A key part of the raison d’être for these property-clubs is to enable colleagues and friends to progress individual nest-eggs to the point where we can each achieve ownership of a dream home. A block on these unique property dreams is often the ubiquitous issue of funding. That is the reason we started unique property clubs way back in 1998. To date there have been 18. Not every one successful. But always interesting; 14 made a profit, 2 broke even and 2 made a loss. A decent batting average over time. One of the reasons we took a sabbatical from the property clubs in following a decade of success by 2008 – apart from the horrendous banking crisis and worldwide financial upheaval – was that we had all grown our respective funds and were able to go and buy that unique home. For cash. No mortgage. Job done. From This Keyboard: Over Two & A Half Million Page Views Since 2012. Unique manglers of the English language, but with the aim of ensuring our readers actually get to buy the home of their dreams. Unique Property Clubs. Growing Interest Has Had Results: Now At 327. If you’d like to receive unique property syndicate updates, please click here. Long story short, after 16 months of hard work, the theory to reboot these unique property clubs is being transformed into real bricks and mortar projects. On 9th March 2017, against all odds, we received the keys to the first building. 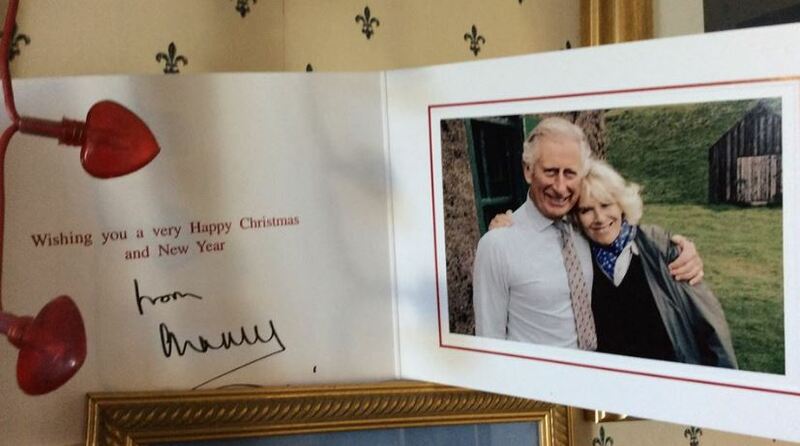 But here’s the thing, within the same month, we’ve gone from a privy, to a prince. Strange but true. Keys To The New Kingdom? 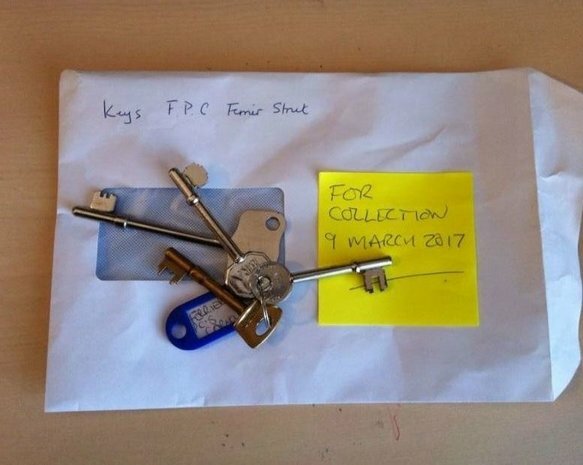 On 9th March 2017, we collected these keys on behalf of the members of unique property club 19. Literally within seven days from collecting the keys to the loos, we were off for a reconnoitre at the next syndicate venture. An important building inspection to progress the 20th unique property project for that syndicate to have a legally binding contract. Whilst studying the lighthouse structures – the floors, walls and ceilings etc., – this picture on the wall of one of the buildings prompted the question: is that who it looks like? From Privy to Prince in Seven Days! The answer came as a surprise. Not just the future King, but also technically the owner of the buildings we are destined to buy next for up and coming series of unique property club purchases. A curious fact that these refreshed property clubs can have you skulking around an old urinal one minute and the next literally rubbing shoulders with Royalty. A funny old world. A literal cliffhanger. Will these high level houses figure in our plans for the cliffs that our property club just bought? 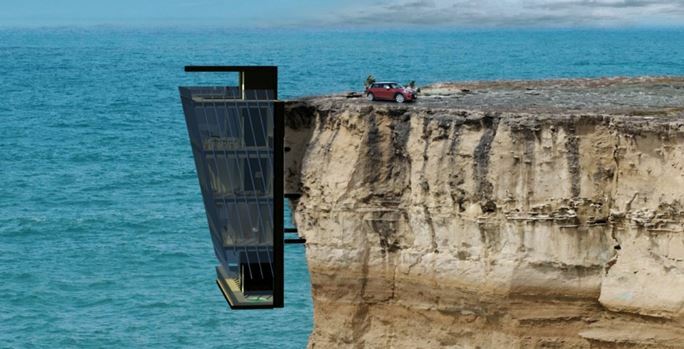 Even a “small” concept cliff house to trial the idea might be on the cards for our rugged granite cliffs. Relaxing on The Side of A Cliff! Looks like fun. 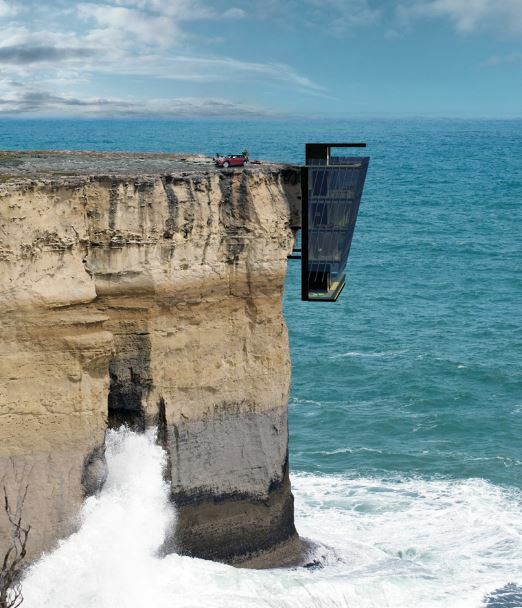 Although our mini cliff house would need to be accessible in a far easier way than that shown immediately above. When you have to get your crampons out just to go to bed, that’s a step too far for many of us here. Back to the core aspect of this feature – funding unique property and how to help readers in this respect. What you don’t see, is that after years of bodily abuse, I’m pretty knackered. Have a season ticket to the local hospital for a dose of different surgeries. 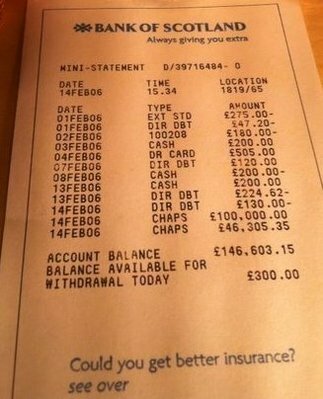 If I can manage this, then surely you can have a good go. 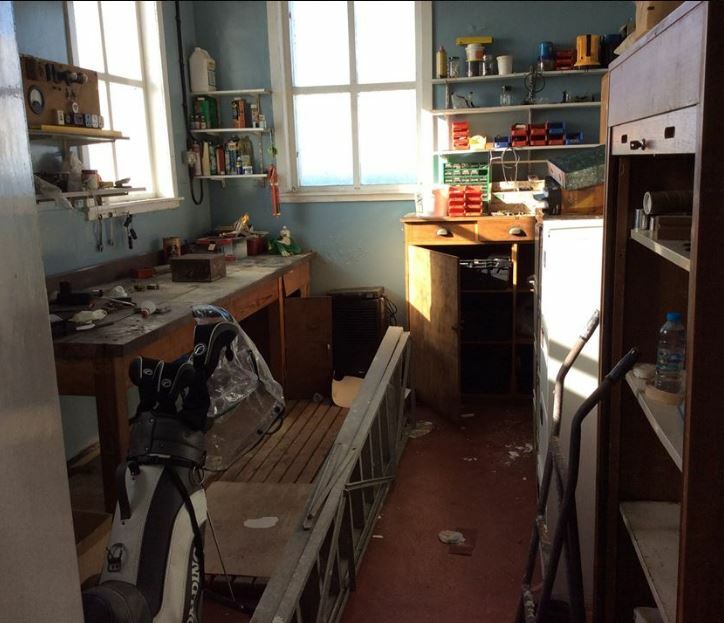 Seriously: old bashed up buildings can lead to very real and spectacularly enjoyable adventures…. 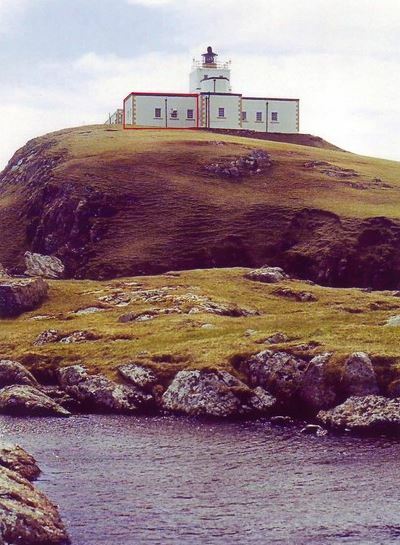 Unique Property Syndicate: Ailsa Craig Island Lighthouses. An amazing adventure. This one, pictured above, was made real, because we managed to sort out the funding from very small financial acorns at the start. 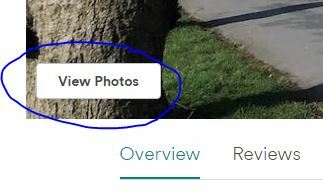 About 16 months ago, when we looked into restarting the unique property syndicates, it has taken most of that time to wade through several hundred documents of Financial Conduct Authority/PERG and Financial Services & Markets Act rules and regulations that we now need to comply with to get the point where our “beta test” building got the green light. So as advised, on 9th March 2017 our 19th property-club came good, and is now the delighted owner of an old privy of all things! It’s difficult to hold back the enthusiasm as personal circumstances can be quite challenging, but that is another amazing aspect at what these property-club adventures bring about. New friendships with like minded people. Many of whom have a brilliant lateral thought process to find solutions to problems. A great thing when you are battling to get up a flight of stairs through premature decrepitude and a little lack of sense keeps propelling the group to buy buildings with 300 stairs in them! Back to our revitalised property-club pioneer project. Alliterating with the letter P. Apt! Flushed With Success or Money Down The Drain? Inside the Unique Property Club’s rebooted syndicate purchase. An unusual start/re-start! Within a few days, we went from the old loo to our Waterloo. Heaven sent. Our next unique property club is a magnificent lighthouse compound with 8 buildings/land thereon. This club has had the formal offer accepted. Although the main tower is still retained by the lighthouse board, around 35 acres of land and several buildings, such as former lighthouse keepers’ homes are included. This is the view from Unique Property Club 24. 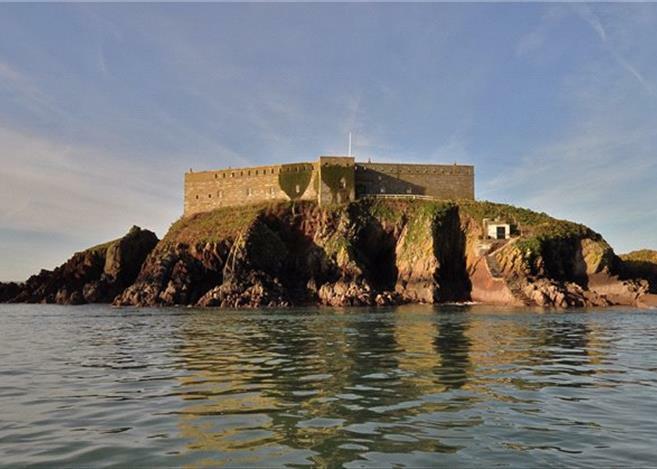 The lighthouse keepers’ houses are being sold by HRH Prince Charles. Not bad, when in the same month, our previous property-club high point was a privy! So for this Bulletin we are delighted to advise the rebooted 2017 (and beyond) unique property clubs have passed the “proof of concept” hurdles with the old WC Building and are now proceeding at a rate of knots with the next project. There are still relatively minor roadblocks, but we have passed all the major obstacles. This means we now stand a very good chance of illustrating real life examples in the Bulletin for readers to follow. How, from first principles, it is possible to grow small financial nest eggs to the point where each member can realise their dream. 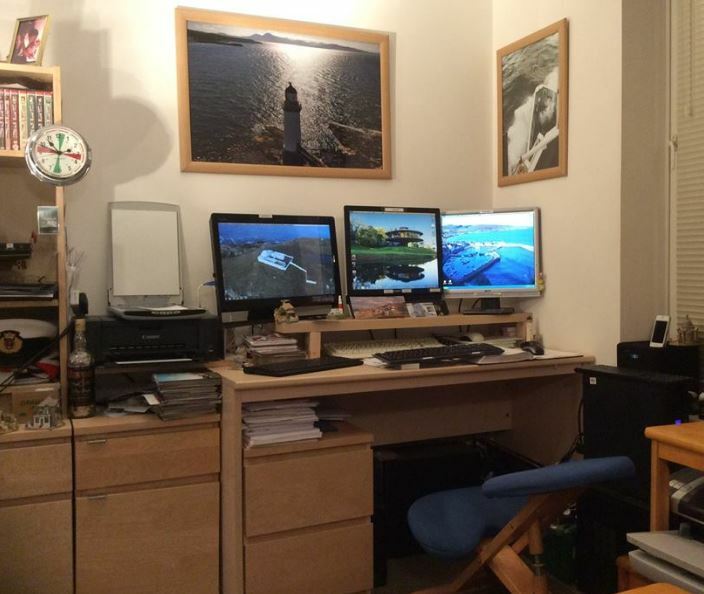 The above lighthouse being the ideal home location for at least three of our writers here at Bulletin HQ. 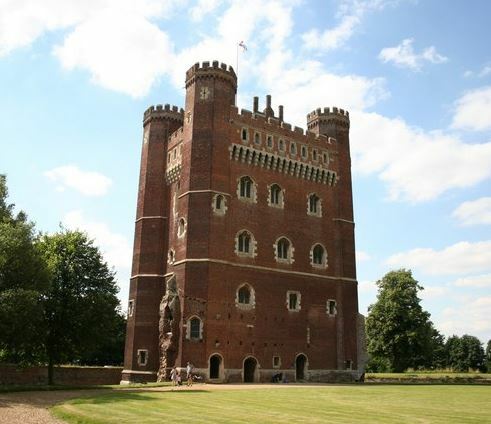 Quite the trip from an old privy to a towering beacon owned in trust by a prince. The photograph above was taken on the 16th March 2017 and is part of the view from the front doorstep. The bête noire when readers come away with the mantra: “I’ll buy my dream home if I win the lottery” is actually distressing for us to read. There is far more fun and enjoyment to be had creating something good and interesting from very little in the way of resources. The buzz when we see folk actually realise that long held wish of a home that fits with their dearest of wishes is a great feeling. To conclude this Bulletin’s odyssey: From Privy To Prince – via unique property clubs, we now would like to ask our many readers for help. 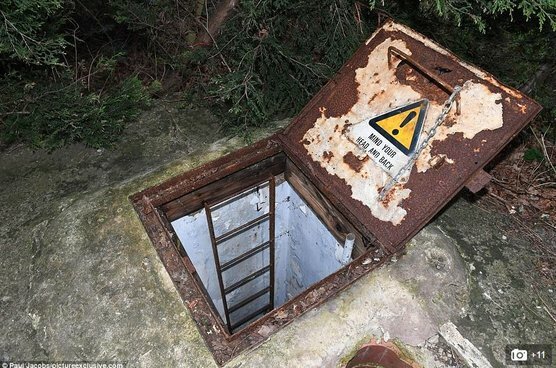 In your time online, if you see an unusual property that you reckon may be an ideal candidate for a future unique property club, please can you let us know? Thank you. If you would like to join our unique property club mailing list, please…. Next Full Edition At 9pm, 7th May 2017.